James F. "Jim" Amos (born November 12, 1946) is a four-star General in the United States Marine Corps and the 35th Commandant of the Marine Corps. As a Naval Aviator, Amos commanded the 3rd Marine Aircraft Wing during Operation Iraqi Freedom in 2003 and 2004. He served as the 31st Assistant Commandant of the Marine Corps from July 3, 2008 to October 22, 2010. General Amos was born on November 12, 1946, in the Wendell, Idaho, and graduated from the University of Idaho in 1970. General Amos was designated a Naval Aviator in 1971, and has held a variety of operational and staff assignments since 1972. His operational assignments include tours with VMFA-212, VMFA-235, VMFA-232 and VMFA-122 where he flew the F-4 Phantom II. In 1985 then-Lieutenant Colonel Amos assumed command of Marine Air Base Squadron 24. In April 1987, Lieutenant Colonel Amos deployed to the western pacific as Executive Officer of VMFA-212 for what would be called "Operation Last Dance", the last overseas deployment of the Marine F-4 Phantom before it was phased out and retired. Transitioning to the F/A-18 Hornet, he assumed command of VMFA-312 and subsequently joined Carrier Air Wing Eight on board the USS Theodore Roosevelt (CVN-71). In May 1996, Colonel Amos took command of Marine Aircraft Group 31 in Beaufort, South Carolina. In August 2002, he assumed command of the 3rd Marine Aircraft Wing and deployed with them to Kuwait and Iraq in support of Operation Iraqi Freedom. Amos served as Commanding General of the II Marine Expeditionary Force from July 2004 to July 2006. General Amos's staff assignments include tours with MAG-15 and MAG-31, III Marine Expeditionary Force, Training Squadron Seven, The Basic School, and the MAGTF Staff Training Program. Promoted to brigadier general in 1998, he was assigned to NATO as Deputy Commander, Naval Striking Forces, Southern Europe, and as the U.S. Deputy Commanding General, Fleet Marine Force, Europe, at Naples, Italy. During this tour he commanded NATO's Kosovo Verification Coordination Center, and served as Chief of Staff, U.S. Joint Task Force Noble Anvil during the air campaign over Yugoslavia. Transferred in 2000 to The Pentagon, he was assigned as Assistant Deputy Commandant for Aviation. Reassigned in December 2001, General Amos served as the Assistant Deputy Commandant for Plans, Policies and Operations Department, Headquarters Marine Corps. From August 2006 to July 2008, Amos served as Commanding General, Marine Corps Combat Development Command, and Deputy Commandant for Combat Development and Integration. General Amos became the 31st Assistant Commandant of the Marine Corps on July 4, 2008. 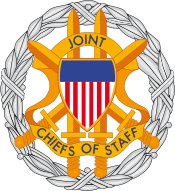 In June 2010, General Amos was recommended for nomination by Secretary of Defense Robert Gates to succeed James T. Conway as Commandant, while recommending General Joseph F. Dunford, Jr. to fill his role as Assistant Commandant. He was formally nominated by President Barack Obama on July 20, who interviewed him for the job on June 17. He received support from the Senate Armed Services Committee during a confirmation hearing on September 21, and confirmed shortly thereafter. On October 22, 2010, Mr. Conway turned the position over to General Amos at a ceremony at Marine Barracks, Washington, D.C.. This marked the first time a Marine aviator has held the position of Commandant and the first sitting Assistant Commandant since 1983 to become Commandant. As Commandant, General Amos opposed the repeal of the "don't ask, don't tell" policy regarding homosexuals openly serving in the U.S. military. After President Obama signed the legislation setting the conditions for repeal, General Amos led the Department of Defense in carrying out the will of the nation's civilian leadership. In late November 2011, General Amos stated that his opposition to gays openly serving in the military has proven unfounded and said that Marines have embraced the change, describing the repeal as a "non-event." General Amos graduated from the Armed Forces Staff College, Norfolk, Virginia and the Air War College, Maxwell Air Force Base, Alabama. He holds the rifle sharpshooter marksmanship badges. ↑ "Commandants of the U.S. Marine Corps". USMC TECOM. http://www.tecom.usmc.mil/HD/Frequently_Requested/Commandants.htm. ↑ 3.0 3.1 "Gates pegs Amos to lead Marine Corps". United Press International. June 15, 2010. http://www.upi.com/Top_News/US/2010/06/15/Gates-pegs-Amos-to-lead-Marine-Corps/UPI-70421276608371/. Retrieved 16 June 2010. ↑ 4.0 4.1 Cavas, Christopher P. (June 15, 2010). "Amos expected to be named commandant". Marine Corps Times. http://www.marinecorpstimes.com/news/2010/06/defense_commandant_amos_061410/. Retrieved 16 June 2010. ↑ Cavallaro, Gina (20 July 2010). "Obama nominates Amos for commandant post". Marine Corps Times. http://www.marinecorpstimes.com/news/2010/07/marine_amos_commandant_072010w/. Retrieved 21 July 2010. ↑ Ackerman, Spencer (June 21, 2010). "Gen. Amos Will Be the Next Marine Corps Commandant". The Washington Independent. http://washingtonindependent.com/87906/gen-amos-will-be-the-next-marine-corps-commandant. Retrieved July 5, 2010. ↑ "Defense Secretary Gates Announces Recommendations to the President on Senior Marine Corps Leadership Positions". U.S. Department of Defense, Office of the Assistant Secretary of Defense (Public Affairs). June 21, 2010. http://www.defense.gov/releases/release.aspx?releaseid=13625. Retrieved 2013-06-21. ↑ Cavallaro, Gina (September 21, 2010). "Amos faces panel in confirmation hearing". Marine Corps Times. http://www.marinecorpstimes.com/news/2010/09/ap-amos-commandant-confirmation-hearing-092110/. Retrieved 21 September 2010. ↑ Shea, Sgt Jimmy D. (22 October 2010). "Taking the Reins: Marine Corps Welcomes New Commandant". Headquarters Marine Corps. United States Marine Corps. http://www.marines.mil/unit/barracks/Pages/TakingthereinsMarineCorpswelcomesnewcommandant.aspx. Retrieved 22 October 2010. ↑ Bumiller, Elisabeth (3 December 2010). "Service Chiefs Tell Panel of Risks to Repeal of Gay Ban". http://www.nytimes.com/2010/12/04/us/politics/04military.html?hp. Retrieved 13 December 2010. ↑ Martinez, Luis (January 31, 2011). "Marines step out smartly in DADT repeal". ABC News. http://abcnews.go.com/Politics/gen-james-amos-marines-step-smartly-repeal-dont/story?id=12803544. Retrieved 31 January 2011. ↑ Robert Burns, Marine commandant: End of gay ban a non-event, Associated Press (Nov. 28, 2011). Wikimedia Commons has media related to James F. Amos. "Official website for James F. Amos". United States Marine Corps. October 28, 2010. http://www.marines.mil/unit/hqmc/cmc/Pages/default.aspx. Retrieved 2010-10-28. "Official Biography:Lieutenant General James F. Amos, Deputy Commandant for Combat Development and Integration". Biographies: General Officers & Senior Executives. Manpower & Reserve Affairs, United States Marine Corps. https://slsp.manpower.usmc.mil/gosa/biographies/rptBiography.asp?PERSON_ID=129&PERSON_TYPE=General. Retrieved 2007-10-10. "Official Biography:General James F. Amos, Assistant Commandant of the Marine Corps". Biographies: General Officers & Senior Executives. Manpower & Reserve Affairs, United States Marine Corps. https://slsp.manpower.usmc.mil/gosa/biographies/rptBiography.asp?PERSON_ID=129&PERSON_TYPE=General. Retrieved 2008-08-05.